I think this is my very first psychologist’s couch cartoon. I’m working through the major cartoon clichés. 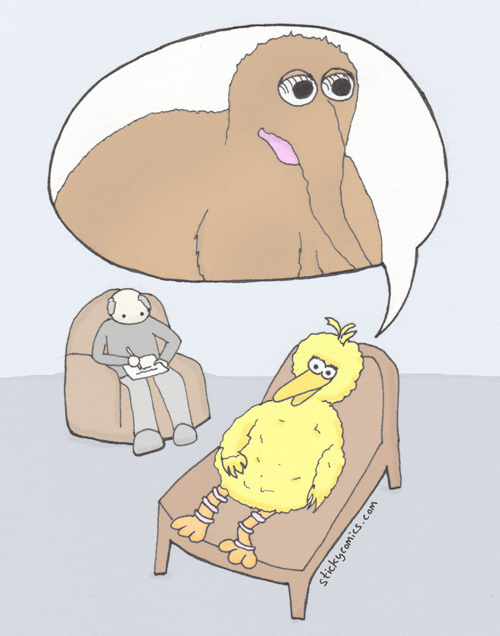 Also, we need more Snuffleupagus cartoons in the world, don’t you think?